"Part of an order for a pharmaceutical company. 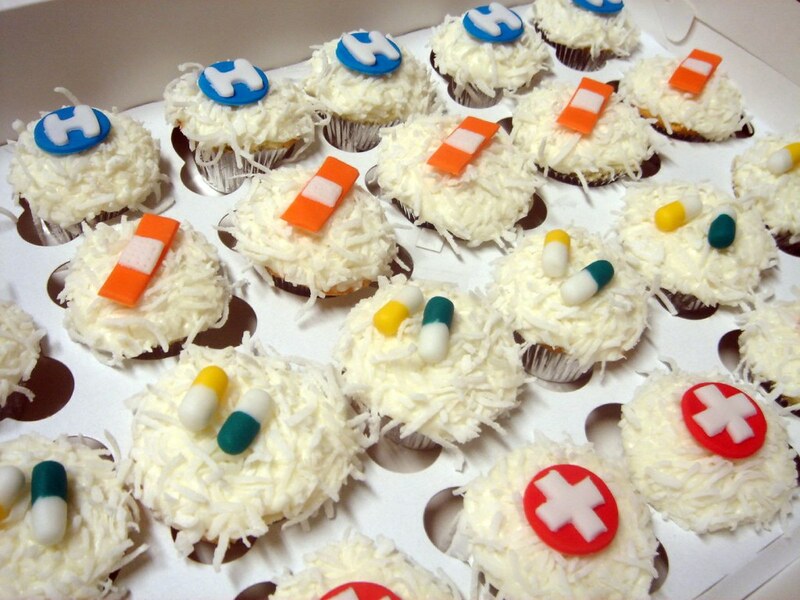 These are offered as gift to doctors and each box has a cupcake with the name of the doctor." 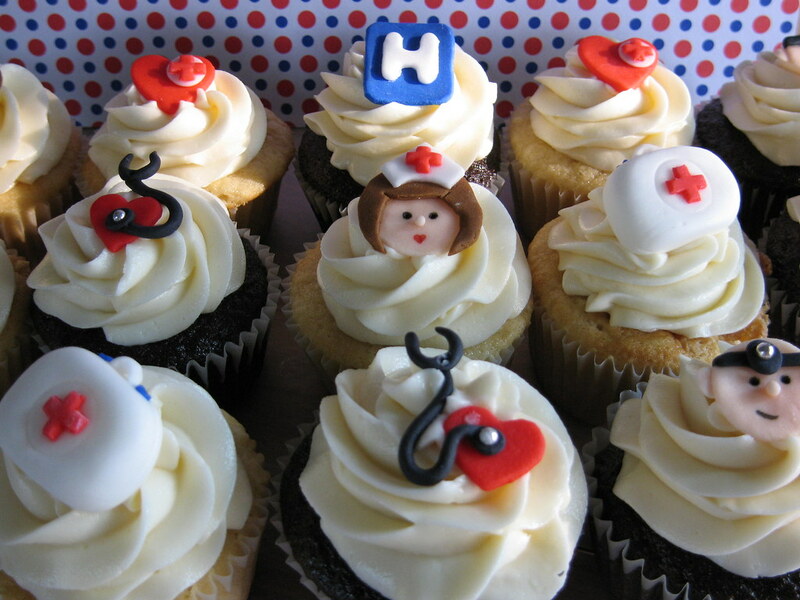 Healthcare-themed cupcakes by Petit Cupcakes of London, Ontario via Flickr"
"'Healthcare' themed cupcakes to celebrate the end of a student's nursing practicum! 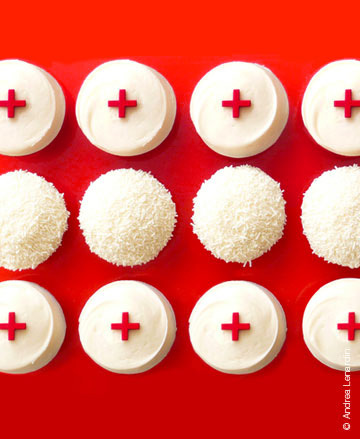 'Coconut Dream' coconut cupcakes with coconut buttercream, topped with shredded coconut." These are FANTASTIC! If only i could take these to work...the nurses and carers would love them!